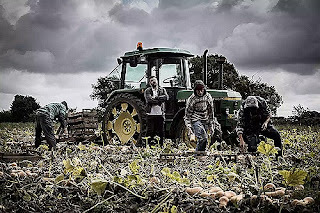 Millions of people are exploited every day in Europe and in the rest of the world. 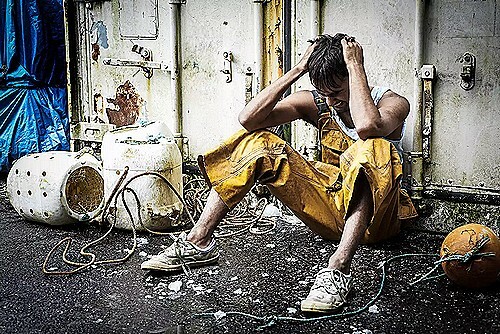 The victims are often persons who have been promised a job by traffickers, or they could be people living on the edge of society, deprived of housing or just poor. Through threats, violence, coercion or addiction to drugs and alcohol, they are enslaved, working for a few money, living in squalid conditions, having been deprived of their documents. 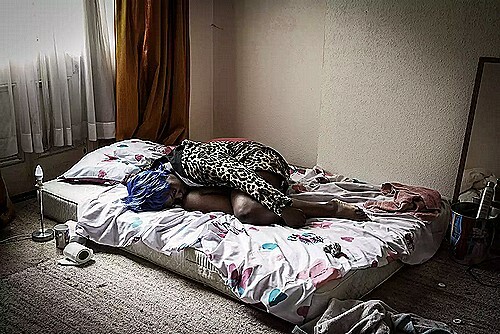 At the same time, women from Eastern Europe and West Africa are attracted to the dream of a better life, and then fall into a dark spiral of forced exploitation and forced prostitution, often unpaid. It also happens to children, migrants or not, who are recruited, transported and then sold. eternity nourished the fruits of the earth, of every form and color, declared taste or temporally fashion, vegetable or animal conception without any solution of continuity. You could recognize it instantly, if only you were near, perhaps straining your ear to the walls. Because the product has already been sold, and “now you just have to celebrate, fill the plate, clear glasses and throats that today I want to choke myself”, was the only, perennial refrain of the scene. In another room they devoured other types of gifts, in a further but much worse way. The client of such a journey into the hell of others entered to feed flames and wounds to his personal enjoyment, eating alive flesh as if it were virtual matter, with the ill illusion of being on a sort of roller coaster, or immersed in a video game, where nobody gets hurt and at the game over you can boast with the friends of the record achieved. Yes, it was a game, it was considered as a pastime, this slow mess of souls, and if this happens in life, where it really exists, I dare not think what will be the Hades for those guilty. In a further room the main meal was made of thin fiber and precious essence as only the present when it becomes a future in shreds. The alibi for such an abomination was almost equal to the latter, in a horrible chorus of ranting justifications. The screams were mild, how could I hear them? He seemed to be good people, how could I have imagined? And, indeed, these are things that happen, unfortunately. and blaming, throwing out lies and taking advantage of millions of lives as if they were just words. On these they used to build laws and alliances, power and wealth, pretexts for wars or simple publicly tolerated martyrs. Once upon a time there was a world as big as a house is. A world, like the latter, composed of rooms. In each one of them there was someone who lived and undisturbed enjoyed his alleged fortunes rained down from heaven, as if in the room there wasn’t also a cell with a prisoner inside, waiting to be sacrificed for the status quo. Do you know what is the most incredible thing about that?